William Robichaud leads Collaborative Consulting, an information technology services provider making the case for keeping such services on American soil. 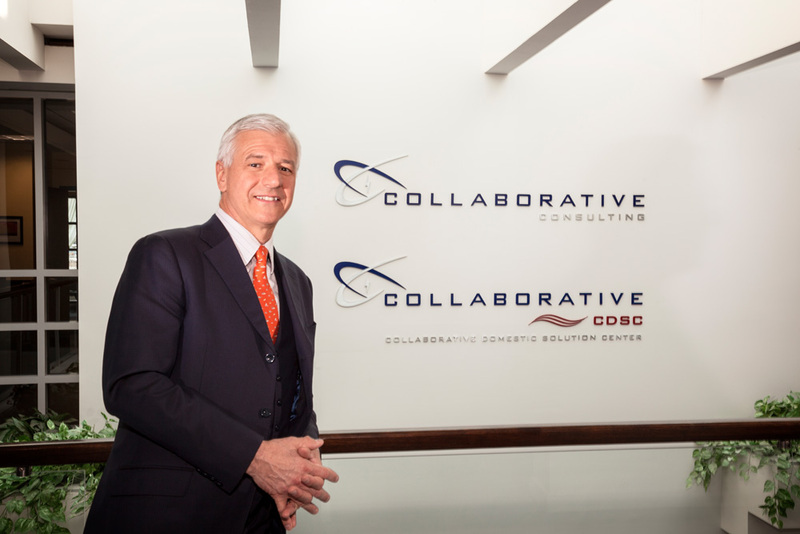 Since its founding in 1999, Collaborative Consulting has made a name for itself in the information technology services industry by competing well in three areas: projects, staff augmentation, and outsourcing. President and CEO William Robichaud explains how he’s deftly positioned the company despite the shifting dynamics of the industry. What trends are you seeing in the IT services industry? William Robichaud: First, there’s been a shift in globalization. Back in 2001, there was a knee-jerk response to send IT services offshore; today, people are realizing India and China aren’t the only answers. There’s a need to put the work where it’s cost effective, and that’s putting domestic options in play. Second, clients are trending toward service at a price rather than people at a price, making the work more outcome-based. Third, we’re seeing a trend toward outsourcing: clients want to get out of the people business and run their own businesses, so we’re managing a set of activities for the client rather than the client managing people. What are you doing to proactively position the company in this environment? Robichaud: We’ve developed some industry teams, in financial services and life sciences, so we can understand clients’ challenges and address their business needs. We’ve also developed a low-cost domestic solution center model and established the first one in Wausau, Wisconsin, in 2012. How do you compete cost-wise with India and China? Robichaud: China and India have created a middle class—costs there are rising 20–25 percent a year. I was talking to the owner of another consulting firm, and he told me he’s charging $70 an hour for his people offshore. Meanwhile, the cost of living in rural areas of the United States is low, so it makes sense to drive the business there. We think we can create a market in those areas so that people who are highly trained and want to live in the rural community where they grew up, rather than migrate to a city, can do just that. Can you find the talent in rural areas? Robichaud: If you choose correctly, yes. Many rural areas have had large companies pull out, leaving a workforce behind that often includes IT personnel. Additionally … when people come out of college, they’re not necessarily ready for prime time, which is why we have a highly advanced training program. We’re taking people with two- or four-year tech degrees and giving them 9–12 weeks of real-world business technology skills, including 4–5 weeks of on-the-job shadow training. How do you convince clients that you really can do the work cost-effectively? Robichaud: It’s easier than you might think. First, our costs per hour are much lower than clients can find locally, and while ours may be a bit higher than offshore, the productivity gained by using this onshore talent is quite substantial. Clients understand the difference in working with one model versus another and immediately see the potential for efficiency. To make it even more concrete, we’ve hired an outside firm to help us quantify the differences between the hourly rate a client’s vendor management office would look at and the actual costs incurred to run a complex project successfully. When you compare the total cost of ownership of offshoring, such as potential reworking, we’re able to show we are cost effective. Doing things efficiently and correctly the first time creates real, measurable value. How does outsourcing fit into the picture? Robichaud: We’ve been doing outsourcing since 2001, but it’s never been a mainstay of the business. When we built the rural center to help with project work, a number of clients asked us if they could use it for longer-term outsourcing work as well. For companies that need 1,000 people for a turn-the-crank task, India and China may be adequate, but for more mission-critical jobs, clients would rather pay a little more to get the results they need with predictability. Outsourcing has grown so quickly. There’s been a clear swing in the pendulum. We’re now 40 percent project work, 40 percent staff augmentation, and 20 percent outsourcing, but I believe in the next two and a half years, 40 percent of our work will be driven by outsourcing. Robichaud: Our rural sourcing model has been very successful. This is an area of rapid growth that we want to focus on, to enable us to provide optimal results for our clients. We are in the process of site selection for an additional domestic solution center that we plan to open this year. We’re always looking at where technology will take us and what tools we can use to better serve our clients. To that end, our services team—a group of extraordinarily smart people—is at any given time looking at what’s next in the technology space. We’re currently exploring mobile, social media, big data, and cloud initiatives, to name just a few.